Medicaid is a federal program. Some states, including California, Massachusetts, Oklahoma, Oregon, and Tennessee, have their own implementations of Medicaid. Here in California Medicaid is known as Medi-Cal. That said, Medi-Cal is still mostly funded and governed under the Federal Medicaid prorgam. The United States Government is prosecuting individuals for Medicaid fraud in increasing numbers. With the economy where it is and growing public outcry to slash all instances of “fraud and abuse,” the federal government is under severe pressure to catch and prosecute those who are “taking advantage of the system” which often includes doctors and healthcare providers. The pressure is great; the numbers being investigated and charged is growing, and the government snares many good and innocent people who end up being falsely accused. 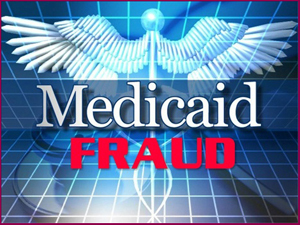 Are You Guilty of Medicaid / Medi-Cal Fraud? In those cases where a suspect is actually guilty of some improper conduct, the United States Attorney’s Office has been know to be over-zealous at times and people are being over-charged to the degree that any fines and punishment would far outweigh the mistake, oversight or actual crime. An experienced criminal attorney would be the perfect “3rd party” able to negotiate with the U.S. Attorney’s office to get them to be reasonable on your behalf. When reasoning efforts with the U.S. Attorney are successful, it is not uncommon that the some charges are dismissed or reduced. Many negotiated outcomes are so significant as to dwarf an invoice for legal services. In addition to the large potential fines for Medicaid fraud the federal government pursues prison sentences as a punishment for violations. Usually clinics and doctors are the most commonly charged in Medicaid fraud or abuse cases. Who is Most Often Charged for Medicade / Medi-Cal Fraud? There are two categories of people being investigated and prosecuted for Medicaid fraud: Benefits Recipients and Providers. Accused of Medicaid / Medi-Cal Fraud in Southern California? There can be many reasons for errors in billings, which were not caused by intentional deception of the Medicaid system. These can include but are not limited to errors in clerical work, ill-intentioned employees, inadequate billing supervision and also inadequate supervision over treatment staff. In some cases there are even errors in the government documentation or processing itself. Experience and knowledge of the various factors which can be involved in a Medicaid fraud case are vital in a strong defense. The prosecution must prove that the case involved a deliberate intention to deceive the government.